The scientists looked at how cold-weather activity affected goats. They found that "during the three coldest months, the sedentary but cold-exposed goats experienced a 34% increase in maximal oxygen uptake ... and a 29% increase in running speed." When temperatures increased in the spring both oxygen uptake and running speed of the goats decreased. The winter season is also cold and flu season. Making outdoor exercise a usual part of your workout may help you avoid both colds and the flu. It may strengthen your body's defense system. Some people who suffer from "winter blues" or Seasonal Affective Disorder, may benefit from going outside to exercise in the fresh air and sunshine. The beginning of frostbite is called "frostnip." Experts at the Mayo Clinic explain that "with this mild form of frostbite, your skin pales or turns red and feels very cold. Continued exposure leads to prickling and numbness in the affected area. As your skin warms, you may feel pain and tingling. Frostnip doesn't permanently damage the skin." However, Dr. Sampson says it is ice that creates the biggest risk for workouts outside when it is very cold. People don't see the ice, step on it and fall. He had been sitting on the document for at least two months. As long as I deliver the goods, my boss is very happy. Body temperature can fluctuate if you are ill. The bill might have gone through if the economy was growing. 5.With frostbite people can start experiencing symptoms pretty rapidly, on average with mild winds and cold temperatures it can occur in as less than 30 minutes, with extreme cases. 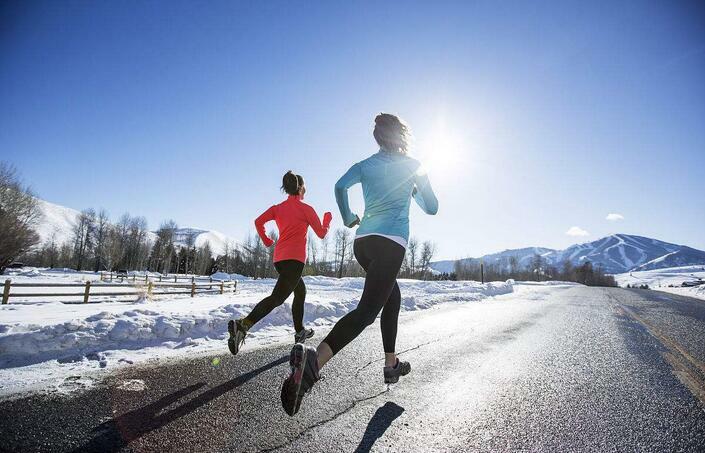 6.Exercising outdoors in cold weather may help your mental health. The college student's self-identity is the important factor to influence college student's mental health. Mental health is determined by socio-economic, biological and environmental factors.